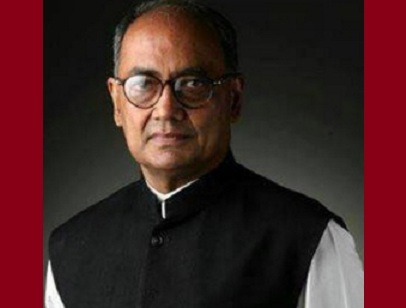 Delhi/BHOPAL: In a big blow to former chief minister Digvijaya Singh that there was tampering in the hard disk seized from the principal systems analyst of Vyapam, in order to save the big guns. Submitting its findings on the charges of tampering of the hard disk drive (HDD) in the Supreme Court, the agency said that based on the central forensic science laboratory (CFSL), Hyderabad, it concluded that there was no tampering in HDD. On July 9, 2015, the Supreme Court had transferred Vyapam cases probe to CBI. Apart from the overall probe, CBI also conducted investigation on the allegations made by a former Madhya Pradesh CM Digvijaya Singh and Prashant Pandey filed before the Supreme Court regarding tampering of HDD seized in the instant case. They had alleged that the hard disk seized by Indore Police from the computer of the then Principal System Analyst, Vyapam on July 18, under the Police Station Rajinder Nagar, Indore had been tampered with. During investigation, image of the seized HDD in question along with 2 other HDDs, which was in the custody of the trial court, was prepared through the experts of Central Forensic Science Laboratory (CFSL), Hyderabad and were forwarded to CFSL for analysis and examination. The two Pen Drives including one kept in custody of the High Court of Delhi and the other submitted by him to CBI in a sealed cover were also sent to CFSL, Hyderabad for analysis. The pen drives as per the claims of the said private person contained the tampered and untampered versions of the impugned excel file. CFSL examined these HDDs and the 2 pen drives and submitted 7 reports to CBI. SC has today filed a chargesheet against 490 accused persons including 03 Vyapam officials, 03 racketeers, 17 middlemen, 297 Solver & Beneficiary candidates and 170 guardians of the beneficiary candidates in the Court of Special Judge for Vyapam Cases, Bhopal in on-going investigation of a case relating to alleged irregularities in PMT 2013 Exam conducted by Vyapam. In the chargesheet, CBI submitted the findings.